You’ll fall in love with these easy fall recipes. If you’re feeling wistful saying goodbye to the summer season, don’t be! Because there are lots of reasons to embrace the start of sweater weather. Besides the cooler temps and beautiful fall foliage, these tasty and easy fall recipes will ring in the new season with cheer. We have easy fall dessert recipes and cozy dinner ideas to tempt your taste buds. Find your new favorites on this list of autumn recipes and don’t forget to try them before the fall season ends! Easy Fall Recipes for Everyone to Enjoy! This easy-peasy fall recipe is a great chance to take advantage of plums. This plum cake is spiced and has a lovely aroma, thanks to cardamom. It’s the perfect dessert to practice your baking skills during the fall season. This may be a recipe for summer but what’s to stop you from making this at the start of fall. Imagine salmon with garlic butter and the caramelized shallot corn relish with lots of sweet cherry peppers smothered on top. You won’t eat salmon the same way again after this delicious recipe! 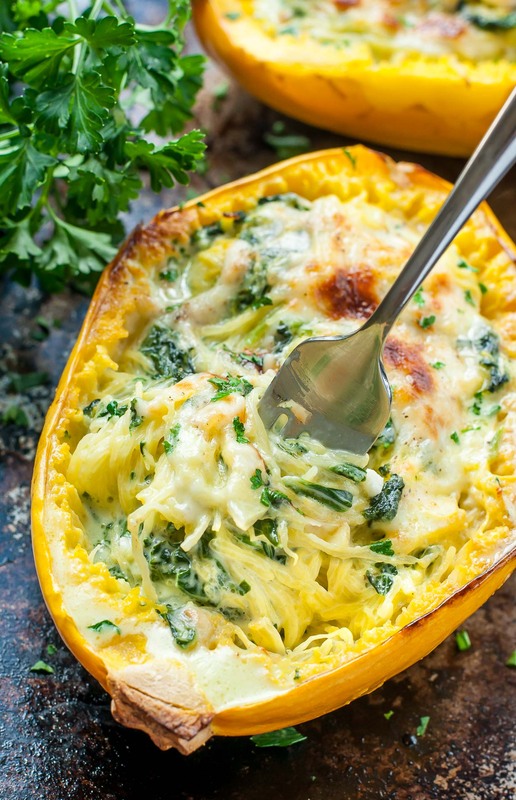 If you’re looking for easy healthy fall recipes, you have it here with this cheesy garlic parmesan spinach spaghetti squash. What better way to greet the season than with a squash bowl of cheesy goodness. This refreshing salad only takes 15 minutes to prepare. It’s a fantastic way to enjoy summer squash this season or you can also use regular zucchini or both. We just can’t get enough of its sweet and sour sauce. We’re certain you’ll experience pure bliss after tasting a spoonful of this healthy recipe. In case you’re not familiar with farro, it’s a healthy grain you can enjoy in soup and salad. 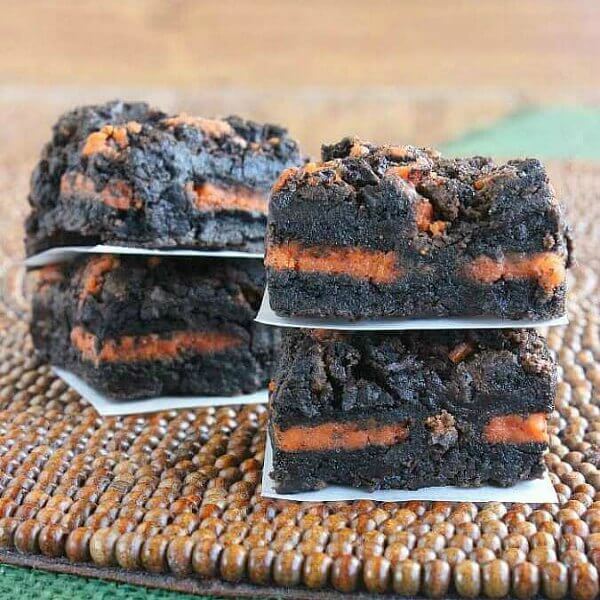 We love how sinfully delicious these autumn oreo brownies look, and we’re sure it tastes really good, too. They also make an excellent pairing with a scoop of vanilla ice cream or a glass of fresh milk. With apples in season, we can’t wait to try this easy baked Honeycrisp apple recipe. These babies bake for 50 to 60 minutes and the results are the sweetest and crispest baked Honeycrisp apples you will ever eat. Who doesn’t love eggs Benedict for breakfast? Here’s an easy recipe worth trying when you wake up tomorrow. It’s such a simple and easy recipe but look how enticing these eggs look! Ever tried brownie waffles? Get that batter started with this amazing waffle recipe. We just love to make this waffle recipe over and over again especially on a crisp morning. When we think of autumn, we think of mushrooms popping up in the woods ready for picking. 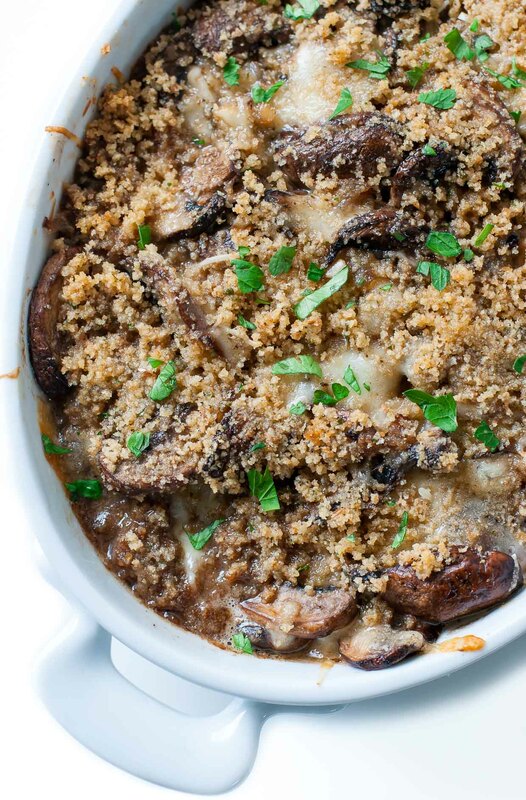 Well, you don’t have to forage for mushrooms to enjoy this stuffed mushroom casserole. The sweet and mild flavor of roasted pumpkin and the tanginess of spinach in this spaghetti recipe will surely leave you asking for more. It’s a little bit spicy and slightly nutty. If you’re out of pumpkins, a butternut squash will also do. If you’re looking for something warm and gooey to add to your fall routine, this is the perfect recipe idea for you. These melts are loaded with shredded chicken, shredded Brussels sprouts, apple, and cheddar cheese. Every layer has its own distinct and delicious flavor. They’re hearty, too! This easy recipe is a staple in any meal. It’s basic, but what sets these pumpkin rolls apart is the excellent addition of fresh rosemary and easy-to-make honey butter glaze. These rolls are so tasty, smell really good, and so soft—they’ll melt in your mouth! Set your morning off to a good start with a bowl of this delicious, hearty, and nutritious fall breakfast recipe. Superfood quinoa, maple syrup, pumpkin seeds, chia seeds, almonds, coconut milk, pear and apple slices come together and give you the dreamiest breakfast bowl ever! Here’s a healthy way to stay toasty when the weather gets chilly. It’s a thick and rich roasted tomato and red pepper soup you can put together in no time. If you love the smoky and spicy flavor, you’re sure to enjoy this recipe. Apples are in season and so are the cool climate brussels sprouts. It’s only fitting to whip up these ingredients with chicken and sweet potatoes. 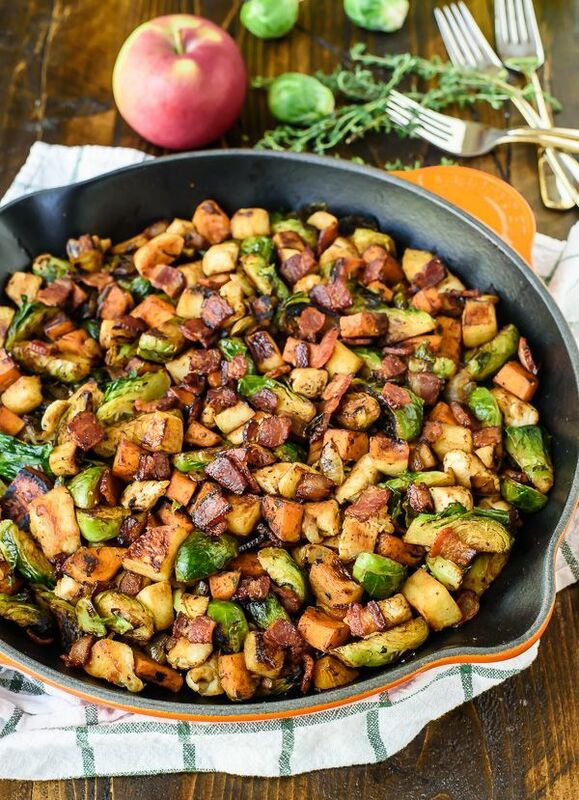 Mix them up in a cast iron skillet and you got a real easy fall recipe. You don’t have to miss the summer season this fall because nothing spells summer better than a good old pickled salad. Try this slightly sweet and tangy pickled corn succotash salad recipe for an easy meal. Ever wanted to learn how to make a tart? Here’s a fall dessert recipe you’ll savor with every bite. This tart highlights the delicate taste of figs. It’s lusciously sweet and gooey at the same time. Warm yourself up this fall with this healthy soup recipe. Corn soups may be an old standby, but when do classics fail right? This healthy and delicious corn soup recipe is something you can eat every day. 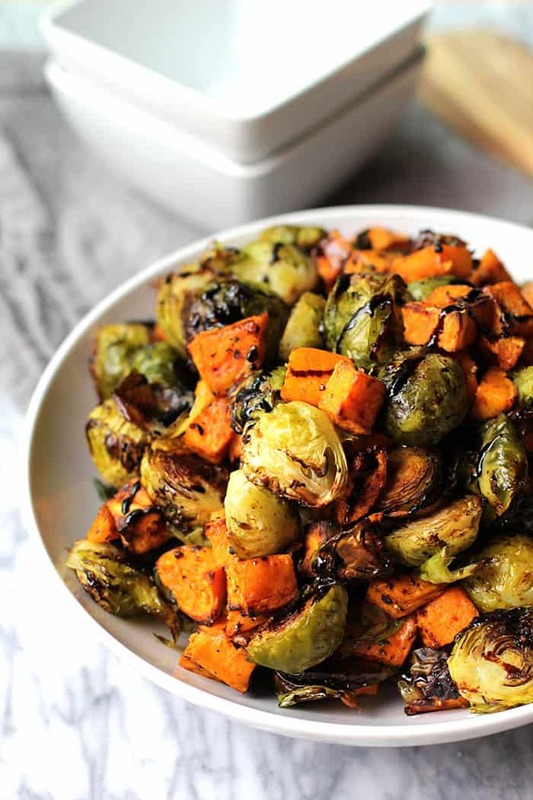 Humble ingredients like sweet potatoes and brussels sprouts turn gourmet with balsamic glaze. This fall, give this balsamic glazed veggie recipe a try and you’ll want them even beyond the season. We love puff pastries, and this puff pastry recipe with the goodness of beets plus goat cheese and honey made us love them even more. This beauty will surely be your new fall favorite. Have you ever had potato chips for breakfast? Here’s a must-try for fall. This easy fall recipe will make you want to add potato chips to all your dishes. Who knew the perfect healthy fall recipe would be this pizza? This tasty pizza can feed the whole family and make them go “wow” with its delicious toppings. Feel free to replace ricotta cheese and parmesan cheese with mozzarella and Gruyère cheeses, whenever you want to. Where all about comfort every fall season. And this filling chili and cornbread skillet is the epitome of comfort food. This recipe cooks for 20 minutes. It’s really simple and quick to finally enjoy a hearty and comforting dinner with your family. This is a great fall dessert everyone loves. Apple pies are the staple of all desserts, especially during the fall season. And what could be the best complement to apples than soft caramels melted into luscious caramel sauce? Never feel guilty eating chips with this healthy snack recipe. You’ll be surprised how tasty and savory they are. These rosemary beet chips look like rose petals, making them the prettiest fall treat. Fall in love with savory and sweet this fall with this epic dessert recipe. This will make you forget about berry and peach tarts. This tart is made with savory kettle chip crust, rich chocolate filling, and a chocolate ganache topping. For the pasta lovers in your family, here’s a delicious and easy spaghetti recipe they are sure to ask second servings of. Its rich pumpkin sauce complements the garlicky kale, which you can easily cook using just Parmesan cheese, kale, and garlic-infused olive oil. If you’re looking for the perfect drink to enjoy with friends this fall season, why not give this autumn apple sangria a try? This boozy drink can turn a little chit-chat into an unforgettable evening. If wild rice has always been included in your fall menu plans, then you might want to consider this scrumptious wild rice harvest bowl recipe. It’s loaded with nutritious, fall-inspired ingredients like butternut squash, almonds, Brussels sprouts, cranberries, and cinnamon. These recipes are easy and ready in the table in a jiffy, so there’s no place for hassle or fuss whenever you’re planning to have a special feast with your loved ones. We hope you love these easy fall recipes as much as we do. These easy fall recipes will make the entire season more exciting and joyful for you and your family. Now, staying at home during the colder days is more favorable than going out, thanks to these delectable and easy fall recipes! What do you think of these easy fall recipes? Which recipe is your favorite? Share your experience with us in the comments section below. Editor’s Note – This post was originally published on October 18, 2017, and has been updated for quality and relevancy. Wonderful pictures, where are the recipes. Have a great day today and keep cooking on!